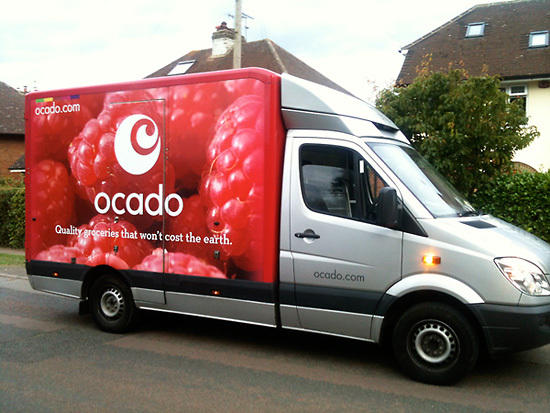 If you live in the southern half of the UK then you must of seen Ocado vans delivering groceries. Ocado commissioned me to take a series of photographs of food for the side of their vans and lorries, they were all close-ups of raspberries, onions, red cabbages and apples. My favourite is the Raspberry one they look so fresh and totally edible (they were btw). Here's a snap I took recently of one of the vans.